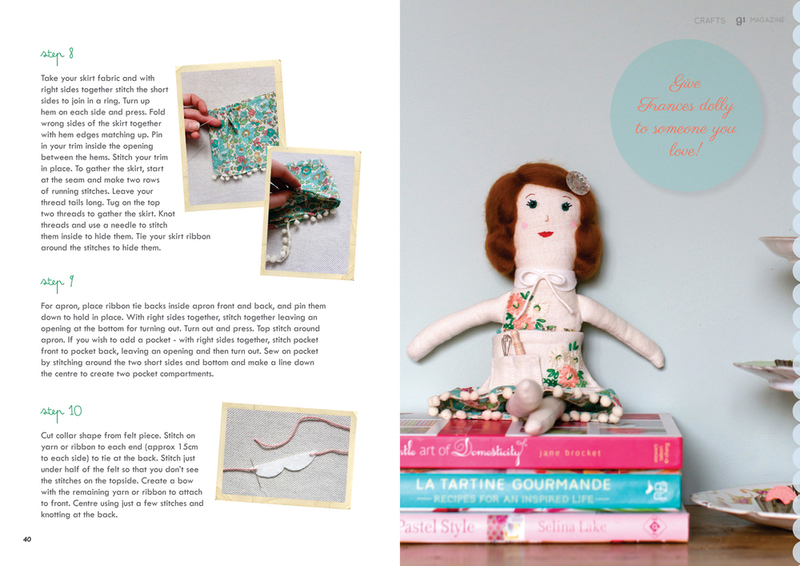 91 Magazine craft special is online! It's that dreary month of January, I'm sure it's most people's least favourite month of the year. Everyone's broke after Christmas and it's cold and dark outside. Well! We've decided to try and remedy this problem with our brand new issue of 91 Magazine! It is our first ever Craft Special, as we thought it's the perfect time to stay indoors and get making and also with the new year, it's time to try out some new things! If you've never tried crochet, then maybe have a go at Emma Lamb's simple crochet pin cushion or try a bit of cross-stitching with Peas and Needles blogger Lucy Davidson perhaps? We've got 9 craft tutorials for you to try, all different disciplines and levels of difficulty, so hopefully something to suit everyone! We also report back on some recent craft and handmade events we've visited, such as Renegade Craft Fair, where we met some talented makers, and we peek inside the home of crafty bloggerLeigh Metcalf, as well as checking out the colourful garden studio of screen printer Megan Alice England. Lots to keep you busy until Spring appears! We'd love to see if you have a go at any of our tutorials, so please share your photos on Instagram or Twitter and tag with #91craftspecial. Also, you may have spotted we have a little bit of a new look! We'd love to hear your feedback on this so do let us know, via commenting here or on social media. And of course please let all your friends, family and colleagues know that our latest issue is available and free to read for all! Below is a little peek inside, but why not head straight to the 91 Magazine website and get reading!